MS is a chronic disease that affects the nervous system. Nerves are coated in a protective covering called myelin, which also speeds up the transmission of nerve signals. People with MS experience progressive deterioration of myelin. Years of dedicated research have led to new treatments for MS. 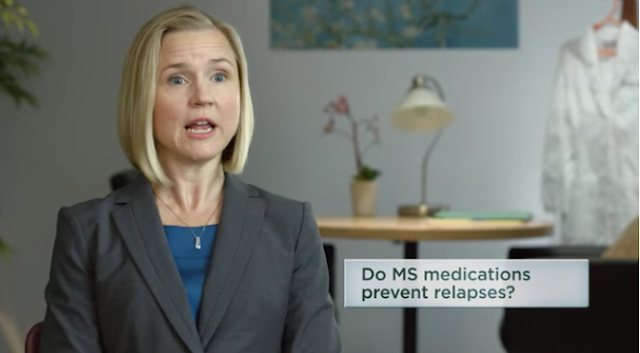 There is still no cure for the disease, but drug regimens and behavioral therapy allow people with MS to lead better-quality lives. Treatment in the form of support groups or talk therapy can also provide much needed emotional support. A main goal of MS treatment is to slow down the progression of the disease. Drugs that do this are called disease-modifying medications. One such medication is the oral drug teriflunomide (Aubagio). It was approved for use in people with MS in 2012. A study published in The New England Journal of Medicine found that people with relapsing MS who took teriflunomide once a day showed significantly slower disease progression rates and fewer relapses than those who took a placebo. People given the higher dose of teriflunomide (14 mg vs. 7 mg) experienced decreased disease progression. Teriflunomide was only the second oral disease-modifying medication approved for MS treatment. A third oral disease-modifying drug became available to people with MS in March of 2013. Dimethyl fumarate (Tecfidera) was formerly known as BG-12. It stops the immune system from attacking itself and destroying myelin. It may also have a protective effect on the body, similar to the effect that antioxidants have. The medication is available in capsule form. Dimethyl fumarate is designed for people who have relapsing-remitting MS (RRMS). RRMS is a form of the disease in which a person typically goes into remission for a period of time before their symptoms worsen. People with this type of MS can benefit from twice-daily doses. MS-induced myelin destruction affects the way nerves send and receive signals. This can affect movement and mobility. Potassium channels are like pores on the surface of nerve fibers. Blocking the channels can improve the nerve conduction in affected nerves. Dalfampridine (Ampyra) is a potassium channel blocker. Studies published in The Lancet found that dalfampridine (formerly called fampridine) increased walking speed in people with MS. The original study tested walking speed during a 25-foot walk. It didn’t show dalfampridine to be beneficial. However, post-study analysis revealed that participants showed increased walking speed during a six-minute test when taking 10 mg of the medication daily. Participants who experienced increased walking speed also demonstrated improved leg muscle strength. Alemtuzumab (Lemtrada) is a humanized monoclonal antibody (lab produced protein that destroys cancer cells). It’s another disease-modifying agent approved to treat relapsing forms of MS. It targets a protein found on the surface of the immune cells called CD52. Though it’s not known exactly how alemtuzumab works, it’s believed to bind to CD52 on T and B lymphocytes (white blood cells) and cause lysis (break down of the cell). The drug was first approved to treat leukemia at a much higher dosage. Lemtrada had a hard time getting approval for MS in the United States. The Food and Drug Administration (FDA) rejected the application for Lemtrada’s approval in early 2014. They cited the need for more clinical trials showing that it does not cause serious side effects. Lemtrada was later approved by the FDA in November 2014, but it comes with a warning about serious autoimmune conditions, infusion reactions, and increased risk of malignancies like melanoma and other cancers. It was compared to EMD Serono’s MS drug, Rebif, in two phase III trials. The trial found that it was better at reducing the relapse rate and the worsening of disability over two years. Due to its safety profile, the FDA recommends that it only be prescribed to patients who have had an inadequate response to two or more other MS treatments. MS affects cognitive function as well. It can negatively affect memory, concentration, and executive functions like organization and planning. Researchers from the Kessler Foundation Research Center found that a modified story memory technique (mSMT) can be effective for people who experience cognitive effects from MS. Learning and memory areas of the brain showed more activation in MRI scans after mSMT sessions. This promising treatment method helps you retain new memories. It also helps you recall older information by using a story-based association between imagery and context. Modified story memory technique might help someone with MS remember various items on a shopping list, for example. Myelin becomes irreversibly damaged in people with MS. Preliminary testing reported in JAMA Neurology suggests that a possible new therapy holds promise. One small group of subjects received myelin peptides (protein fragments) through a patch worn on their skin over a period of a year. Another small group received a placebo. People who received the myelin peptides experienced significantly fewer lesions and relapses than people who received the placebo. The treatment was well tolerated and there were no serious adverse events.